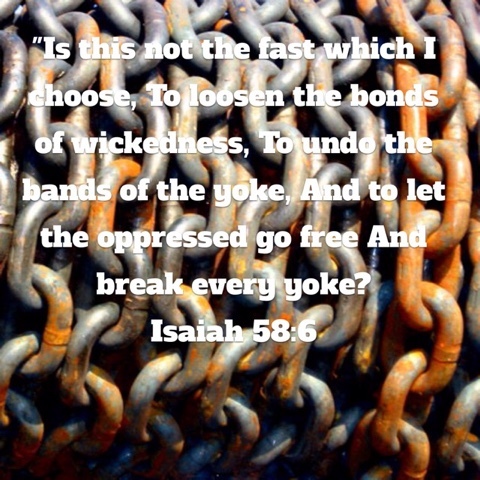 Isaiah 58 loosens something in my heart. Perhaps something very American that cries "YES, FREEDOM!" Rather than the sad commercials evoking pity ... trickle your coffee money down so I can simply have something to eat ... I want to beat my chest and stand arm in arm with the oppressed. Do not bend to shame! Straighten your back, jut out your jaw, and stand firm knowing that God hears you and He sent me and others like me. 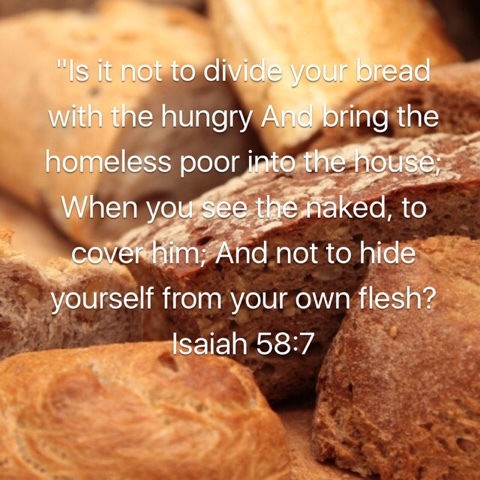 But the other side of the American spirit is much like the Israelites Isaiah 58 is speaking to ... living out the letter of a fast while not accomplishing what God intended the fast to accomplish. I don't want to pat myself on the back for following the "rules" ... I want God to guide my heart to allow what He intended obedience to Him to bring about. Oh how I want to do that. I feel like God is stirring something up in my but I'm not yet sure what. At the moment it is like a swirling whirlwind, a spinning top, and images flash by of the oppressed. He knows the reality of my season of life. I will wait and trust Him to stoke the fire in me and show me what His plan is. The precipice of adventure. I feel like I'm standing at the trailhead of a hike into the wilderness. Only instead of a pack full of a week's worth of provisions and a tent, I have His word. Instead of hoisting a canoe over my shoulders, I have two very young girls. "Ask Him to give you something so God-sized - something so big that if He isn't in it, it's destined to fail." I don't want to turn a blind eye and pat myself on the back for what I am doing. Lord please open my eyes to the oppressed all around me. Then show me what to do. 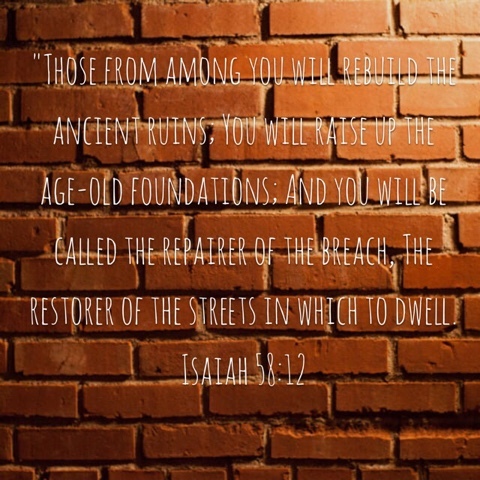 Make me a repairer of the breach and a restorer of the streets.